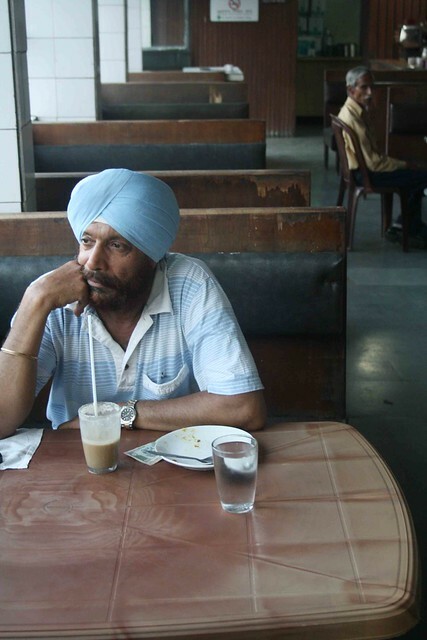 One summer evening, The Delhi Walla spotted a turbaned man in the Indian Coffee House, Connaught Place. 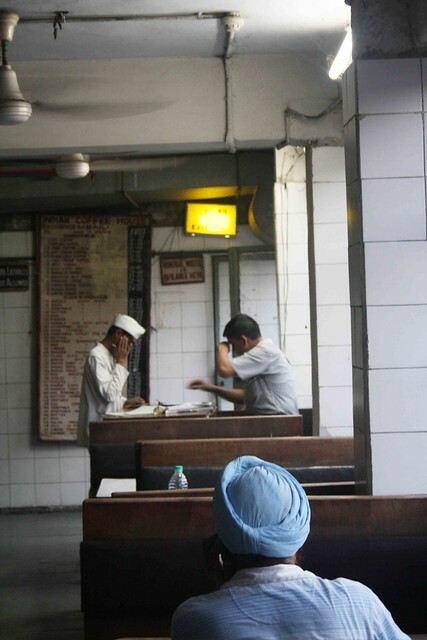 With its weak coffee, soggy sandwiches, oily cutlets, watery sambhar, creaky sofas, slow-moving ceiling fans, uniformed stewards, inexpensive menu, long-lost glory and die-hard regulars, the café has a unique character. 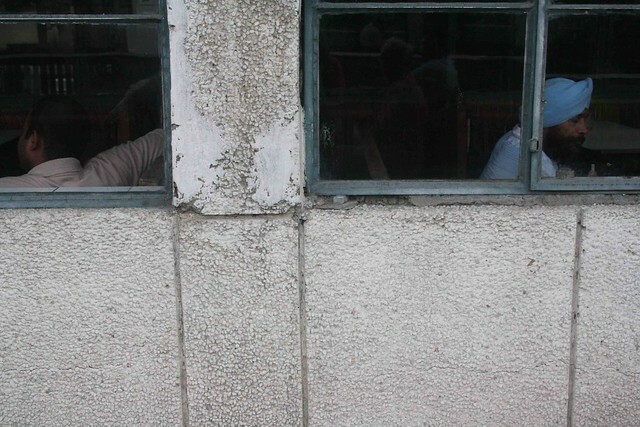 It pulls in people of different ages and pursuits: artists and activists, tourists and traders, intellectuals and gossipers, families and friends, lovers and loners. 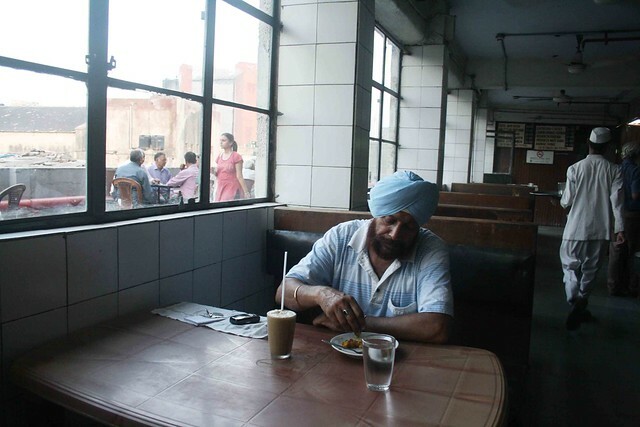 The turbaned man was alone but he was sitting in the section reserved for ‘Ladies & Families’. A man and a woman were sitting behind him. The cashier was standing in the front. The window view was made up of the cafe terrace, filled with customers. Frequently, the stewards were walking past his table. The man’s cell phone was lying on his handkerchief, which he had spread out on the table. He was having mutton cutlet and cold coffee. Lost in thoughts, he seemed to have found his Shangri-la, a happy land hidden from the outside world. Such a place is almost impossible to discover, especially in cities, which are as hostile as deserts. In a sandy unpopulated wasteland, we seek shade, water and the company of fellow beings. In a concrete populated wasteland, we seek a shelter of solitariness. In Delhi, it could be an empty bench in the Buddha Jayanti Garden, or an empty DTC bus parked in the Shivaji Stadium terminal, or – in the case of the turbaned man – an empty family table in the Indian Coffee House. awww … you write so beautifully. You are right about the place Mayank. It definitely has a character of its own.